Coles continues to suffer a major backlash after back-pedalling on its plastic bag ban. The supermarket's chief executive office John Durkan sent an email to his 115,000 staff. "We are extending our complimentary bag offer until Wednesday 29 August for our customers in QLD, NSW, VIC and WA," Mr Durkan said. "I appreciate this transition phase is taking longer than anticipated but it is absolutely the right thing to do by our customers. "As you would have experienced first-hand in stores, this has been a big and difficult change for many of our customers." The free bag offer will end just one day after the supermarket's latest marketing campaign, Little Shop, comes to an end. August 1 was supposed to be the cut-off date, but Coles said it would continue to offer these bags - which normally cost 15 cents - for free. A Coles spokeman defended the move telling news.com.au: "When Coles phased out single-use plastic bags on July 1 in Queensland, NSW, Victoria and Western Australia, some customers told us they needed more time to make the transition to reusable bags." "We've been delighted to see customers grow more accustomed to bringing their reusable bags from home so they are relying less on complimentary bags at the checkout. "Many customers bringing bags from home are still finding themselves short a bag or two so we are offering complimentary reusable Better Bags to help them complete their shopping. "Complimentary bags are intended to be an interim measure to help customers make the transition to reusable bags. "We will continue to listen to our customers and our team members on an ongoing basis to assess when customers have become accustomed to bringing their own bags, and will provide them with as much notice as possible." Environmental group Greenpeace said the backflip "makes a mockery of their stated commitment to reduce plastic waste". 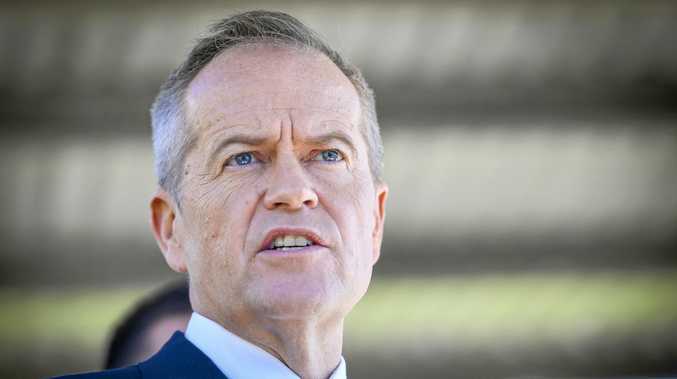 "This decision makes a complete mockery of Coles' claim to want to reduce plastic waste and is a betrayal of the millions of their customers who want the supermarket to do the right thing in favour of a vocal minority," Greenpeace Australia Pacific campaigner Zoe Deans said. "Removing the price means that these reusable bags are far more likely to be used once and discarded. "Coles have caved in far too quickly to a small but vocal minority and there is absolutely no doubt Coles will be punished for this decision by customers who don't want to see plastic bags littering their beaches and killing marine life. 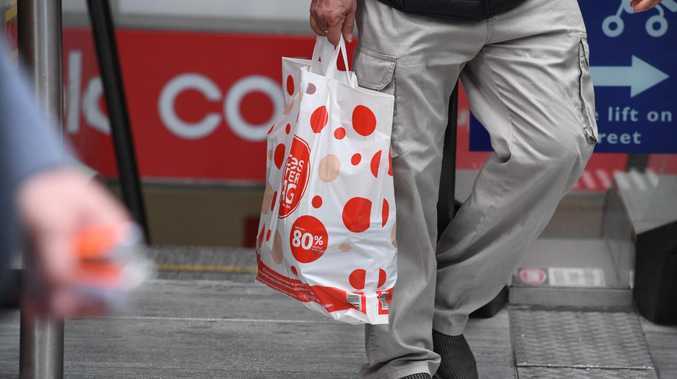 "We hope Coles will quickly reconsider their decision and we are calling for the millions of Australians who do support action to reduce plastic bags to get in touch with their local outlet and let them know." "We're really disappointed by the decision from Coles Supermarkets this morning to backflip on their plastic bag ban and give out re-usable plastic bags free of charge indefinitely," Mr Harris said. "We now renew our call to Gladys Berejiklian and the State Government to enforce a ban of single-use plastic bags immediately. We also call on the board of Coles to reconsider this decision for the sake of our planet." Speaking to the Herald Sun, director of environmental group Boomerang Alliance Jeff Angel labelled it a "weak act". 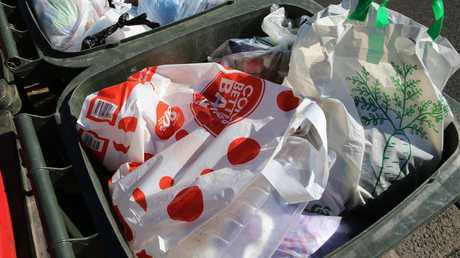 "These so-called reusable plastic bags are almost as thin as the banned lightweight ones,'' he said. "They have a very limited life and the removal of the price signal also means they are more likely to be littered - something we warned about." 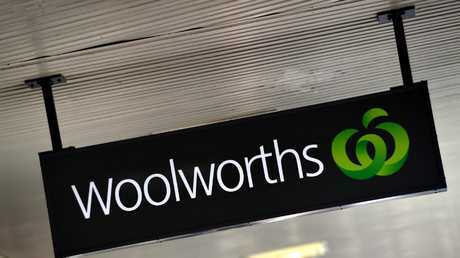 Woolworths has confirmed it won’t be following Coles’ lead. The supermarket's leading rival Woolworths has confirmed it will stick to guns on the plastic bag ban. In a statement sent to news.com.au, a spokeswoman for the retail giant said the majority of Woolworths' customers had "embraced the move to a more sustainable way of shopping", and thanked shoppers for their patience and support. "Our focus is on continuing to help all our customers form new and sustainable habits," the statement said, adding that Woolworths would continue to reward customers who brought their own bags.